[Free Pattern] This Adorable Heart Cushion Is The Perfect Way To Say I Love You! [Video Tutorial] This Adorable Crochet Owl Purse Will Make A Great Gift For Your Little Princess! Learn how to make a cord of little hearts, courtesy of Sheruknittingcom. Delicate and elegant, this cord is fun and fast to crochet. Each heart is worked in a round and the entire cord or ribbon is worked in one go technique. This simple pattern can be used, really to create beautiful bracelets, necklaces or other crochet jewelry and if you feel inspired, add some beads too. You’ll be amazed to see how fantastic it looks! This crochet lace was made of 100% Cotton Mercerized, 169m/50g, 4ply. Steel Crochet Hook 1.5mm or 2mm (#8 or #4 US standards). 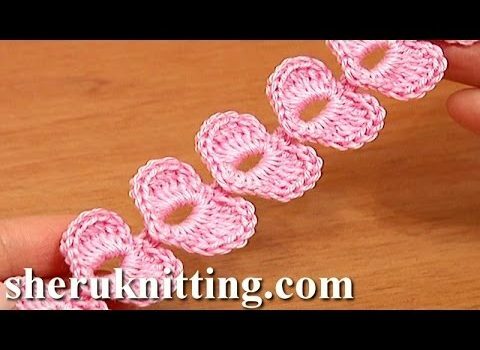 Thanks to Sheruknittingcom for the How To Crochet A Beautiful Cord Of Little Hearts [Video Tutorial] article inspiration and featured image.